The world’s first five-star floating yacht hotel, Sunborn Gibraltar, is undergoing final preparations ahead of moving to her permanent home in Ocean Village next month. A massive €150 million refit will leave the ship with 189 guest rooms, and facilities including a casino, spa and fitness centre, restaurants and even a ballroom. Conferences will be catered for in a flexible meeting space for up to 540 delegates. 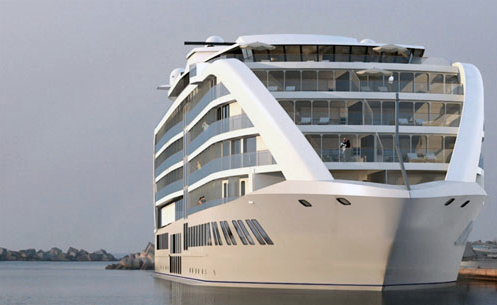 The floating hotel is due to welcome its first guests in January 2014. LOVEDOVE PRESENTS THE CREAM GIBRALTAR WARM-UP PARTY!